NAHS and The Memory Project: Our Philippines Delivery Video is here! National Art Honor Society students at OHHS have elected to participate in The Memory Project as part of their service this year. Many of the students have previously participated in the project through the Drawing and Printmaking course, and were impacted by it so much that they wanted to do it again on their own time! 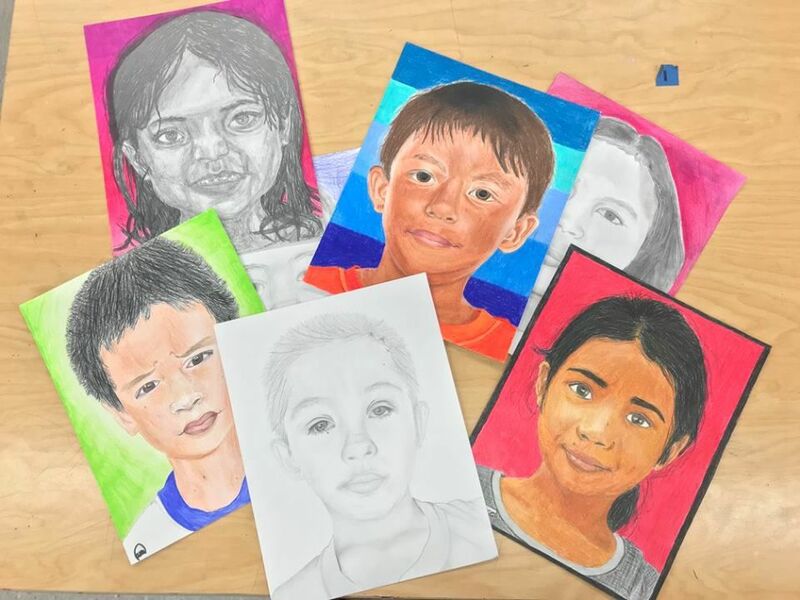 The Memory Project is a charitable nonprofit organization that invites art teachers and their students to create and donate portraits to youth around the world who have faced substantial challenges, such as neglect, abuse, loss of parents, violence, and extreme poverty. Given that youth in such situations usually have few personal keepsakes, the purpose of the portraits is to provide them with meaningful mementos of their youth. The project also allows art students to practice kindness and global awareness while enhancing their portraiture skills. Thirty-nine portraits of Syrian refugee children, created by the Drawing and Printmaking classes, are ready to be sent as well. Be on the lookout for that delivery video soon!